Welcome to Aaron Construction & Development LLC and Robert Checho, Lake County's award winning custom home builder and renovation expert. 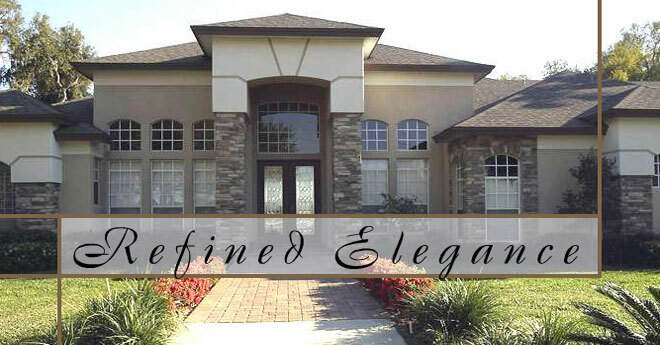 Robert Checho has been building new custom luxury homes in Central Florida for over 25 years. If you are looking for custom-built homes, additions or remodeling in Lake County: Clermont, Mt. Dora, Leesburg or anywhere else in Lake County or Central Florida, count on Aaron Construction & Development LLC to deliver a quality custom built home on time and on budget. Robert Checho is a custom home builder and winner of 11 awards in the prestigious Parade of Homes for innovative design and superior quality. This award is bestowed upon only two builders in all three counties. Join the many satisfied homeowners who have counted on Robert Checho for quality custom home construction and award winning design in Central Florida. Join the many satisfied Lake County homeowners who have counted on us for quality construction and design.